Precision prototype and medium volume production milling and turning. Workholding fixtures - custom tombstone fixtures with mechanical or hydraulic clamping. Progressive fixturing - multi-operation progressive fixturing, processes, programming. 2D & 3D 4th axis CNC milling capability. Most forms of CAD/CAM data capable. Design, Engineer & Build services. 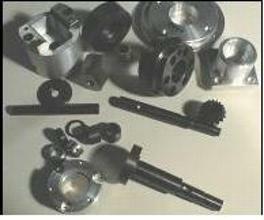 Superior network of outside services - Heat treat, plating, powdercoat/paint, fabs, materials. Fast quoting and fast turnaround - most jobs are quoted within hours, most jobs are started within a day.